In an Android application file that contains a class that extends the Activity class, you might see the following import statements. Once you have imported a class from a different package, you will be able to refer to that class without specifying the fully qualified path for a specific class. So, after you have added the statement ‘import android.app.Activity;’ at the top of the file, you will be able to derive your class from Activity like ‘public class Snake extends Activity’ without having to say ‘public class Snake extends android.app.Activity’. Now let’s look at each of these classes coming from the import statements. The Activity class provides several callbacks; you will override a few of them to add your application specific behavior. As the names suggest, onCreate() gets called when the activity is created. So, here you will setup the user interface and initialize any state-related variables, do the startup tasks, etc. Both onPause() and onFreeze() are called when your view goes out of visibility. The state you save during onFreeze() will be passed to onCreate(), should this activity be killed (because of low-memory situation). As you can see from the definitions, both onCreate() and onFreeze() are passed a parameter of Bundle type. Bundle is a utility class that lets you store a set of name-value pairs. You will always find this import along with the import for Activity class because both onCreate() and onFreeze() methods take Bundle as a parameter. Into a Bundle object, you can put integers, longs, strings, arrays, etc along with the keys to identify them. When needed, these values can be obtained by using those keys. So, as you can see, a bundle object is ideal for storing a set of state variables in the onFreeze method; and the same state variables can be read back in the onCreate method. So, for example, in the snake game a series of state variables (direction, move delay, score, snake trail, etc) can be stored in a Bundle object (whether they are arrays, integers, strings, etc.). As you can see, the Bundle class has methods like putInteger, putLong, putIntArray, and so on. The listing below shows how to get the values with the help of keys. As you can see, the counterpart to putInteger is getInteger; similarly getLong is to putLong; and so on. While you can expect to see Activity and Bundle in every Android program, the Window and TextView classes are also pretty common. The Window class contains constants for setting up the look of the window (for example, FEATURE_NO_TITLE takes out the title of the window, FEATURE_LEFT_ICON puts an icon on the left side of the title bar, and so on). The Window class also contains a whole bunch of getters and setters for various window attributes like setTitle, setStyle, getStyle, getContext, and so on. 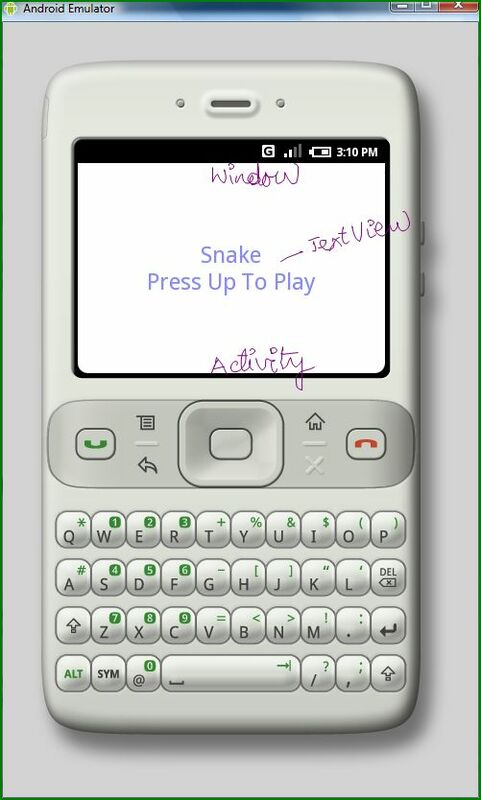 If your Android application has any user interface at all, it more than likely have a TextView. At its basic representation, TextView is a label (meaning, it just displays text that is not editable). As a label (uneditable TextView), it can be used as captions and textual displays. 1. Which of the following is NOT an overridable callback from the Activity class in an Android application?